The most recent episode of David Attenborough’s remarkable wildlife series, Dynasties, tells the brutal, moving and gripping story of two rival packs of painted wolves, one led by matriarch ‘Tait’ and the other by her daughter ‘Blacktip’. The intense rivalry, as Blacktip challenges her mother for territory and supremacy, was filmed by the BBC over the course of two years in Mana Pools National Park in Zimbabwe; one of the last remaining homes of these rare and striking animals. 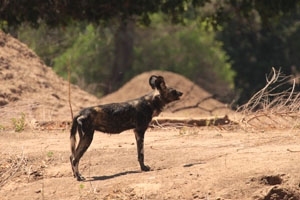 Our Product Manager, Jude, was fortunate to have her own amazing on foot encounters with Blacktip and her pack when she researched our latest walking safari in Zimbabwe in November. Read about her close up experiences with the Nyakasanga Pack of painted wolves in our latest blog - Walking with Dynasties' Painted Wolves, and view the details of our Mana Pools & Lake Kariba Walking Safari, where you too can follow in David Attenborough’s footsteps. For the past seven years, Wendy Lovatt and her husband, Brian, have been running a medical project in Ethiopia called the Simien Mountains Mobile Medical Service (SMMMS). 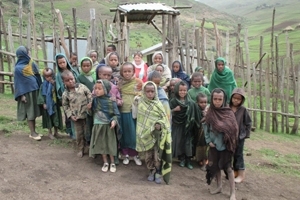 They started the project after trekking through the Simien Mountains with Mountain Kingdoms and seeing first-hand lack of basic medical care and health services available to rural communities. 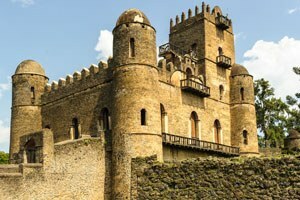 We are delighted that the Foreign and Commonwealth Office have lifted their travel advice against visiting certain parts of Ethiopia. This means that we are now taking bookings again on our two superb holidays to this fascinating land. 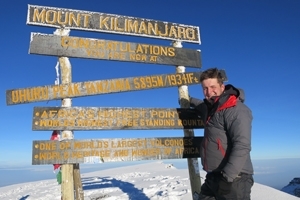 In February 2015, Mountain Kingdoms Administration Assistant Harry travelled to Tanzania to join our Summits of Kilimanjaro and Mt Meru trek. We sat down with Harry to ask him about his experience. Click here to read about Harry's success and the advice he gives for those looking to go on a strenuous trek.